Wire & Plastic Machinery recently purchased (3) 1.5" Davis-Standard vertical extruders and (3) 3.5" Davis-Standard horizontal extruders. You can view the details below and request a proposal by following the Learn More link. We have 178 horizontal plastic extruders, 19 vertical plastic extruders, 28 rubber extruders and dozens of extrusion lines in stock for immediate delivery. 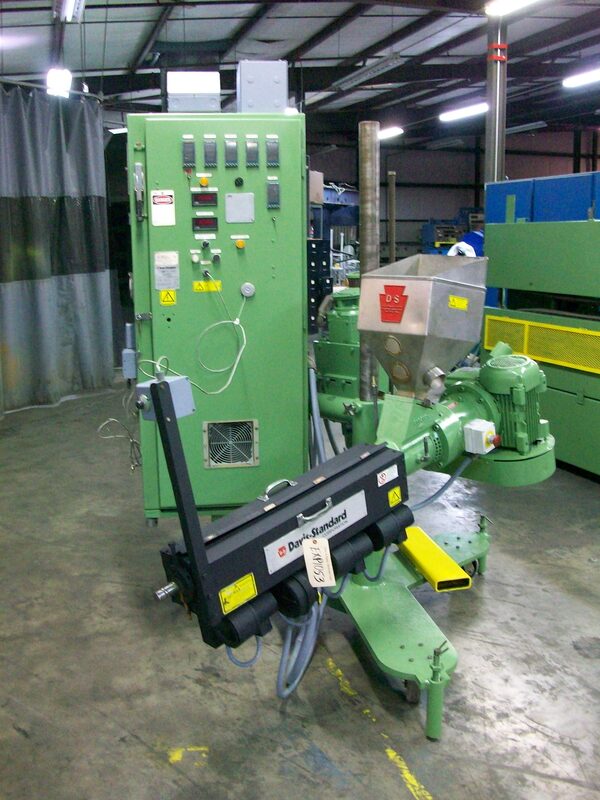 In addition, we are able to recondition all extrusion equipment to like new condition. For more information on our extruder rebuilding capabilities and to see an example, please read our article on Reconditioned Davis-Standard Extruders.